"This suggests that cancer is not a genetic disease arising solely from mutations as we have all been taught, but instead a metabolic condition that develops under the stress of cellular nutrient deprivation," said Robert Nagourney, MD, senior author of the study. "Cells that cannot generate enough energy due to lack of oxygen, sugars or proteins, common to many cancers, use altered metabolic pathways to ensure their survival. Unfortunately these cancer cells' success comes at the expense of the host patient," Nagourney added. 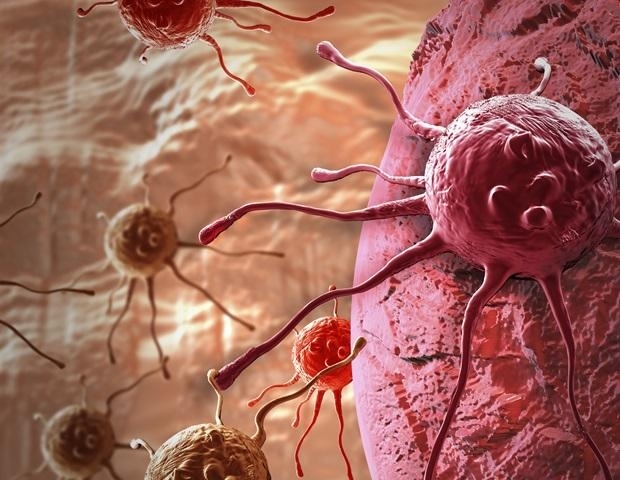 Using mass spectrometry to measure minute quantities of sugars, amino acids and lipids in the blood of cancer patients, these scientists found metabolic signatures that clearly identified breast cancer patients with a greater than 95 percent accuracy. Breast cancer patients have changes in their metabolism that "predispose" them to the development of their disease. The findings support a new concept of carcinogenesis wherein cancer is not caused by mutations, but instead borrows mutated or even non-mutated cellular pathways to overcome limitations in their nutrient supply. As cancer is increasingly associated with obesity, this study provides scientific proof that diet and lifestyle contribute the stresses that, in predisposed individuals, can lead to malignant transformation and death. For more than a century, scientists thought that cancer was metabolically different, but it wasn't until the advent of modern quantitative mass spectrometry that physicians and scientists could accurately measure and quantify the differences. By examining almost 200 different chemicals in the blood stream and comparing cancer patients to controls, the team of investigators showed striking differences that clearly separated normal people from cancer patients. The implications of the study are profound as it introduces a new platform for early diagnosis, provides prognostic information for response and survival, and offers insights into novel strategies for cancer prevention. Additional studies are underway to extend these findings to other forms of cancer. Mass spectrometry is a technique that can accurately measure the content of body fluids like blood or urine. Using ion vaporization, exceedingly small amount of metabolites can be quantified and compared. As little as 10 microliters of blood (one drop) can be used. Breast cancer is the most common form of cancer in American women with more than 250,000 new cases diagnosed and 40,000 deaths associated with this disease in 2017. Early detection has improved the survival of this disease, but mammography and ultrasound often cannot detect the disease when it is at its earliest and most curable stage.